We are going with the Pirate Hat design for this month. I will add the step by step instructions soon. send out with all orders for July. 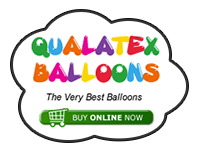 Inflate both Black 260 balloons leaving approx. 3/4 fingers un-inflated. and lock the 1 finger bubble through the fold twist. Do the same with the other balloon so you have a matching pair. balloons 4 finger fold twist. Repeat on the other balloon to complete the hat base. Then make a 8 finger bubble and a 2 finger pinch twist. 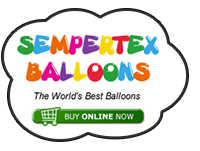 Make an 8 finger bubble and a 2 finger pinch twist on the other balloon to match. one and made a 5/6 finger bubble and twisted this into the pinch twist of the other balloon. to the other pinch twist. Deflate the rest of the balloon. pinch twist and deflate the rest of that 260 balloon. The Pirate Skull 5" round I inflated with two strokes of the Qualatex hand pump. This was then just push fitted into the top of the hat. Finally, after all these months, I've made a Model of the Month. I made a variation on the pirate hat the other week and forgot to post it here.